As trends change season after season, sportswear is now on the rise due to its clean lines and modern silhouettes. High fashion meets sportswear mid-way to create looks seen on celebrities and street-style stars. Sun & Sand Sports offers a huge selection of clothing and accessories that are trendy yet performance-driven. 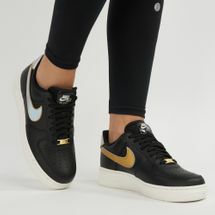 From the latest in fashion and fitness, there is the gold and silver fashion trend that is now catching everyone’s eye. 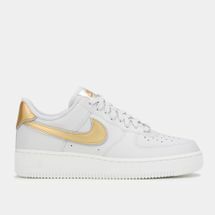 The Sun & Sand Sports online store offers a huge selection of metallic clothing to improve your style and for you to stay ahead of the gold and silver fashion trend. Supported by world-renowned brands like Nike, adidas, PUMA and many more, the gold and silver fashion trend can now be seen incorporated in tank tops, t-shirts, jackets, leggings and even sneakers. 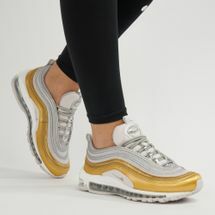 Flashes of metallics are now seen as stripes on leggings or as whole look on running or training jackets to add an editorial flair to your sportswear look. Be creative in our use of metallic clothing and see how our edit can help you pull off a high-shine look as you work up a sweat. Offering a seamless shopping experience from the comfort of your home, the Sun & Sand Sports online store provides a selection like no other. Shop the latest in metallic clothing and high-fashion metallic tops to stand out in and outside the fitness studio. Whether you are a fitness expert or a fashion advocate, high-fashion sportswear will amp up your style. Start shopping now and have your metallic clothing delivered straight to your doorstep with the click of a button. To stay updated with the latest in fitness trends, sign up for our official newsletter and we will help you elevate your style.